If you’ve been in direct sales for any length of time at all, you’ve probably either attended or hosted an opportunity event. To be totally honest (and you know you can count on that from me no matter what), most people shy away from these meetings like the plague, especially if they’re being invited to attend as a participant. It’s because they’re afraid they’ll be leveraged to join and they’re not at all sure that’s something they want to do. Think about the nature of an opportunity event for a second. It’s designed to help someone determine if your opportunity is right for them. Now think about how these events are typically run. From pretty much the beginning of the event, it’s generally about the reason the facilitator thinks the guests are there – namely to learn all about their opportunity and decide to sign up. I’m here to tell you, the reason anyone is sitting at an opportunity event is to discover what would be different in their life if they did decide to sign up. Not the finer details of your compensation plan, how great your products are, or even what it takes to get started. They want to know what’s in it for them. Specifically. So today I’m going to give you a completely different take on how you facilitate these events. What you’ll probably notice right away is that the order of the below seems backwards. That’s because I want you to focus about 75% of your energy on your participants’ agenda and only about 25% of your time on your own information. And the beautiful thing about this is that it not only feels much more comfortable for your participants, but also for you. And if you’re more comfortable, the whole evening will be more relaxed. (And just FYI, these tips work beautifully in one-on-one recruiting interviews as well). To begin with, adopt the mantra, “It’s not about me.” And act from that perspective all evening long. Yep, I want you to start by asking them questions. That way they’ll be clear that you’re interested in them and their needs. And please make sure the questions aren’t a veiled attempt to get them to talk about your agenda. Here’s a list of questions that will get your prospects talking about what’s important to them. Use these or come up with your own. Just remember, you’re trying to discover what it is about their life that your opportunity could improve. If I could wave a magic wand and change something in your life, what would you change? This is the natural progression to step number one. Once you ask those questions, PAY ATTENTION! 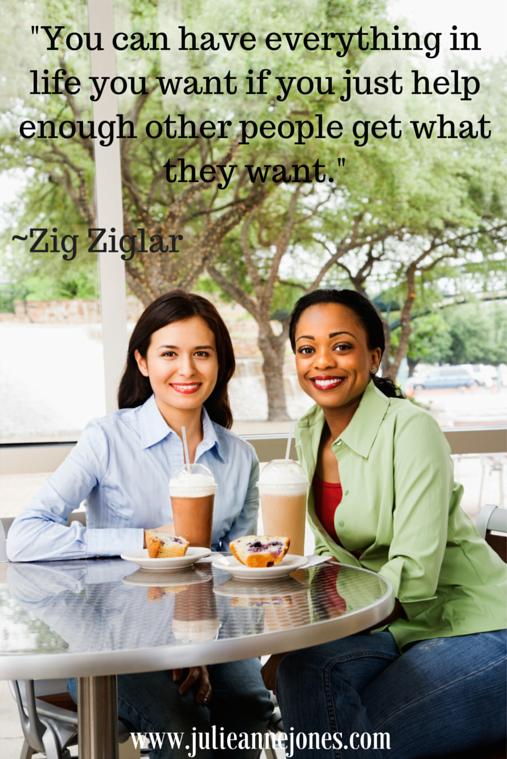 What they share will give you the key to what might make them want to join your team. If their small children are the most important thing in their lives, how could success with your opportunity enhance that area for them? If you could wave a magic wand and erase their debt, how can your opportunity help? Remember, you’re not offering any solutions here, just listening with a keen ear for how you can support them. After (and ONLY after) you’ve learned about them and their agenda for being there that night, it’s totally appropriate for you to share your story. Tell them about your first experience with your company, what you loved about it, and your “why” for being in the business. Keep the focus here on your own experience with no hint of leveraging them to step into a decision. This is the part where you share not only your own results, but also the results of others from your team and your company. If you can, tailor these testimonials to their agenda (remember, the ones you spent plenty of time discovering in steps one and two). I love this idea, because it lets them hear about the details of what it takes to “do” your business without feeling like you’re telling them what they’ll be doing (which makes the assumption that they’ll join and makes them uncomfortable). It’s a safe way to say, “Let me share with you what a typical business day looks like for me, just to give you a feel for how this business works into my life.” They’ll naturally overlay that with what’s possible for them without you telling them to, don’t worry. Now that you know what you need to know about their agenda and you’ve shared what you think they need to know about yours, it’s time to answer any questions they may not have had answered up to this point. Open the floor and let them ask you questions. Yep, this is last (I told you it would seem backwards). Now that everyone is clear about how this opportunity may (or may not) be a good fit for them, it’s time to let them know the details about how they can get started and invite them to step into the solution your opportunity could provide for them. Don’t go into too much detail, but share the specifics about how they get started. And stay unattached from the outcome. It’s their decision, not yours. If it’s right for them, great. If it’s not, great. If they can’t make a decision, let them keep thinking about it until they’re ready. None of those three choices is a direct reflection of you. Period. Remember, it’s not about you. So there you have it. I’ve probably turned the average opportunity event on it’s head, and I know this process works because several of my personal clients have been using it with great results recently. And by the way, this format also works wonderfully during a one-on-one recruiting interview. So I’m anxious to know, what do you think of this idea? Can you see yourself doing this differently at your next opportunity event? Julie Anne Jones is direct sales corporate consultant, coach, and trainer, and the CEO of Julie Anne Jones, Inc. She is known for her authentic and easy-to-use scripting and specializes in specific language and systems for success in direct sales. To learn more about Julie Anne and her products and services, and to read her weekly blog posts, visit her at www.julieannejones.com.